Dig up a Raptor and learn about being a palaeontologist ! 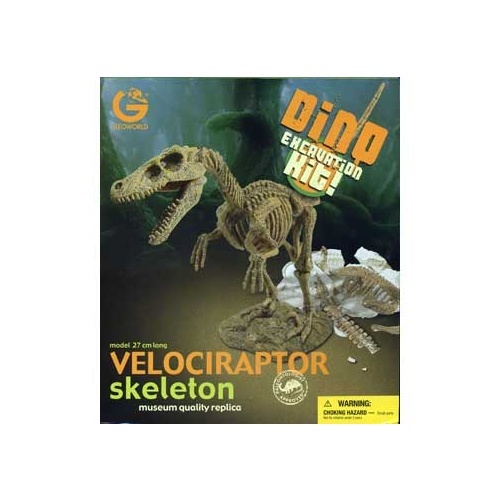 By using the tools provided to dig through this ancient rock formation you can discover the skeleton remains of a Velociraptor, one of the fiercest dinosaurs of pre-historic times! 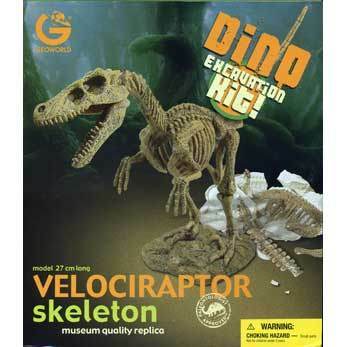 Then piece the Raptor together using the instructions given and show off your amazing find! Other designs available in the Excavation Kit range are Tyrannosaurus, Stygimoloch, Triceratops, Ichthyosaurus, Mosasaurus, Parasaurolophus, Neanderthal and Stegosaurus!